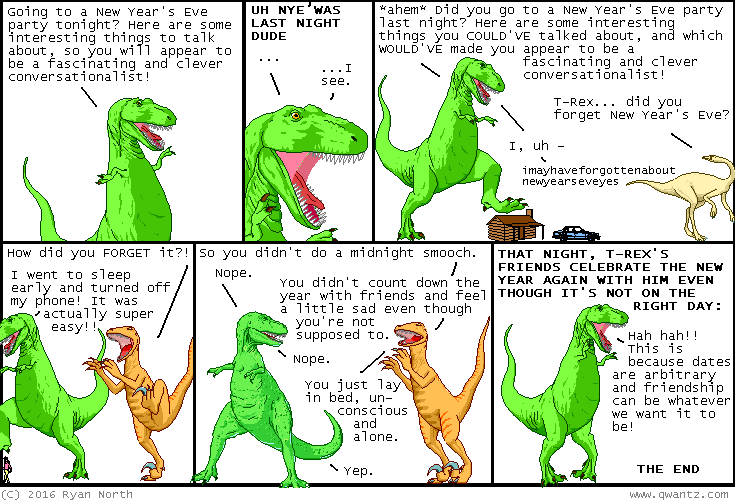 Dinosaur Comics - January 1st, 2016 - awesome fun times! –All these are things I've loaned out and which have not been returned! January 1st, 2016: I hope you enjoyed all the classic comics over the holidays! Monday's classic comic was from February 19th, 2009 and Tuesday's was from July 6th, 2009, Wednesday's was from January 26th, 2011, and Thursday's was from October 15th, 2010. And today's is brand new! It's fresh out of my brain! !